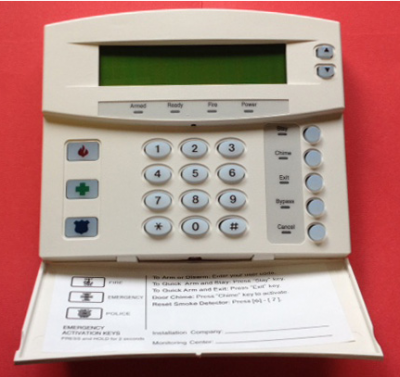 For Sound Security in your home or business, call the experts. Sound Security in the Comox Valley offers security systems and much more for homes and businesses on Vancouver Island and the Sunshine Coast. Sound Security’s expert installation team provide surveillance cameras, sound system equipment and wiring, home theatre installations, and multi-room music systems. They can install media panels and offer new home installation packages. Colonial Countertops in Courtenay specializes in the manufacturing and installation of decorative surfaces and countertops. Kitchen and bath countertops, tub surrounds, shower walls, desktops, reception areas, window sills and much more. Colonial Countertops is able to provide homeowners and builders with the latest styles, trends, and colours. 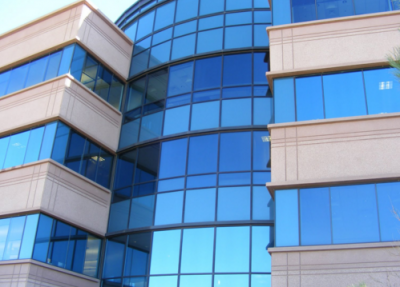 The company's mission is "to continue to provide exceptional service and superior products to our customers. We pride ourselves on setting the industry standard in quality and strive to achieve complete customer satisfaction in all of our projects. We are proud to be a family owned and locally operated business and look forward to fulfilling your residential and commercial surfacing needs for many more years to come." In their Comox Valley showroom, clients browse hundreds of different styles of laminates, natural quartz, and solid surfaces. 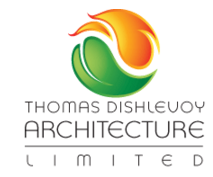 They are proud to offer: top-quality, unsurpassed service; on time delivery; and professional installation. 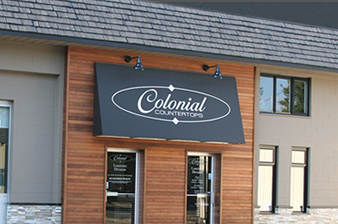 Colonial Countertops is a family-owned business and has been serving Vancouver Island since 1970. For more information, visit their website at www.colonialcountertops.com. Tour the newest show home at The Gales luxury villa townhome development in Ladysmith on Vancouver Island today. Contact Realtor Keith Mazurenko to schedule a private viewing or to learn more about The Gales. This 3,000 sq. ft. Built Green® custom patio home showcases the best in modern environmentally-friendly materials and construction techniques, offering a stunning home in a spectacular location. This new home at The Gales offers you ocean and mountain views from all of the main living areas. This new villa-style home takes full advantage of these views with an open floor plan and extensive wrap-around decks. The decks also provide plenty of room for outdoor entertaining in the summer months. Situated overlooking the Georgia Strait on the east coast of Vancouver Island, The Gales offers residents sweeping ocean and mountain views. Living at The Gales, you can enjoy many outdoor pursuits from a walk on one of the many local beaches to leisurely strolls through pristine forest right at your back door. The town of Ladysmith also offers more urban pursuits without the hustle and bustle of a large urban centre. Crown Isle Resort and Golf Community’s new subdivision Lake 20 has now sold 28 of the 32 available lots. The Sussex Drive Extension/Lake 20 subdivision is located at the end of Sussex Drive behind the existing homes on Idiens Way, in the south end of the Crown Isle Community, in Courtenay on Vancouver Island. This double cul-de-sac layout will provide a quiet location for new luxury golf course homes, with little or no traffic. Select lots back onto the Lake. All homes enjoy the benefit of the Crown Isle master-planned community’s architectural and streetscape guidelines, which have created a mature, desirable neighbourhood in which to live and play. Construction on several new custom homes is about to commence. Benco Ventures has reserved 10 lots in this subdivision. Homes by Crown Isle, Integra Homes and Monterra West have also reserved lots. Contact the Crown Isle Real Estate Team or your preferred builder today to learn more, to select your lot and begin the process of designing and building your dream home at Crown Isle. Stop by the current Show Home, located at 1184 Crown Isle Drive for more information, and learn more about the Crown Isle lifestyle. Hours are: Monday to Friday 11 am – 4 pm, Saturday 10 am – 3 pm. Although Google Maps has yet to plot The Ridge, many happy new Comox Valley homeowners have already found their new custom homes in this Courtenay subdivision. 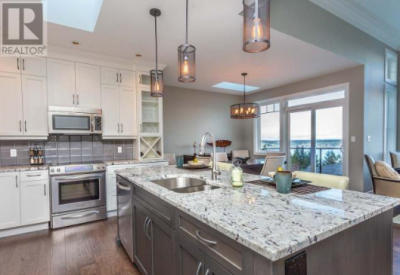 This master-planned community located in the City of Courtenay offers custom detached homes, some with zoning for carriage homes and legal suites, and many offering ocean and mountain views. Community amenities include an extensive network of walking trails, parklands, open spaces, and a small lake. The community is directly connected and adjacent to Millard Creek Nature Park. With forest trails at your door, and city conveniences just minutes away, the Ridge truly offers the best of both worlds. 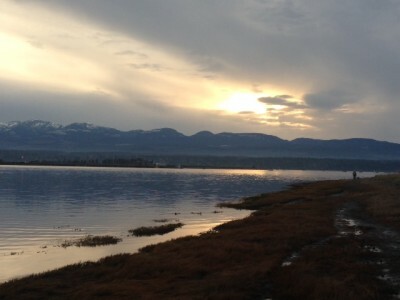 The Comox Valley offers North Island College, a strong public school system, the Comox Airport (YQQ) and a lively community for outdoor recreation, festivals, sports and arts endeavours. A new $300 million hospital is under construction and will be open in 2017. Business in Vancouver Magazine has also recently named the Comox Valley one of the top five retirement towns in BC. Building lots for custom homes at The Ridge in Courtenay start at $169,900, with new homes starting at around $430,000. Several new homes are already complete, with more under construction. Finding The Ridge is easy, just follow the link for directions. Come by and see the show homes by Brando Construction and Lawmar Contracting. Open House times are 12pm-2pm Saturdays and Sundays. Or contact the developer for a private tour. Comox Valley Realtor Art Meyers is your guide to The Ridge at RiversEdge, the only new home development in Courtenay located alongside along the Puntledge River and Puntledge Park. These new homes consist of single-family homes in a rancher / bungalow style, and include a double garage, landscaping, underground sprinklers, fencing and hedging and more. These one-level new homes range in size from 1,560 to 1,745 square feet and are available starting at $359,900. This community is now well established, with construction nearing completion in Phases 1-3. Here, you can tour a complete neighbourhood, rather than a construction zone while selecting your new homes site and home plans. 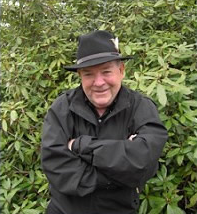 Art Meyers is an experienced and energetic licensed Realtor with Royal LePage in the Comox Valley who brings more than 40 years of experience as a Comox Valley Realtor to every transaction. Patio homes for sale at The Gales in Ladysmith are known for highlighting the best of the Vancouver Island living. The dramatic styling, luxury finishes and wide open spaces reflect the spectacular ocean and mountain views that surround this 68-home community, while the development's Built Green® platinum designation shows a commitment to environmentally sensitive construction techniques. The latest showhome - a 3,000 sq ft, 3-bedroom, 3-bath luxury patio home - is now for sale at The Gales. Spacious rooms, impressive views, and top-quality finishes are just the beginning. This new villa-style showcases the many environmentally sensitive products and finishes that The Gales is known for, including a Carrier Infinity heat pump, HRV ventilation, and Rheem Marathon Limited Lifetime hot water tank. This luxury Vancouver Island town home from award-winning GNB Builders carries the Built Green® designation. Retire to the Comox Valley on Vancouver Island, one of the Globe and Mail’s Top Picks for Retirees! According to an article in the Globe and Mail, the Comox Valley is one of three top choices to retire to in British Columbia due to its temperate climate, affordability and the Comox airport (YQQ) which offers direct flights to Vancouver, Calgary, Edmonton and other destinations. Its economy is strong, and the Valley, which includes Courtenay, Comox and several small towns, is known for a number of festivals, water sports and skiing at Mount Washington. There’s a new $300 million hospital under construction, large retail shopping centres, North Island College and many other amenities. 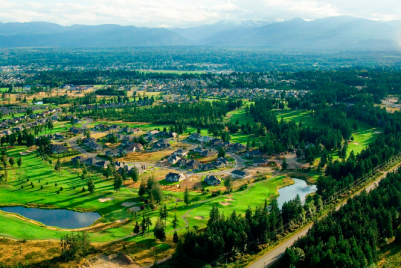 The Ridge is a new master-planned residential community, offering lots for sale in Courtenay. Approximately 30 lots in Phase I have been sold and many new residents have already moved into their new homes. Lots at the Ridge start at $169,900 and new homes start from approximately $430,000. 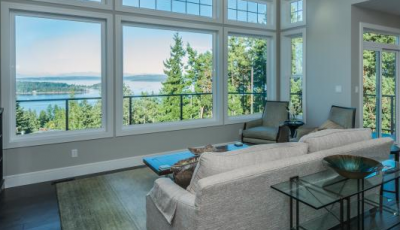 Many of the new custom built homes offer ocean and mountain views. These custom homes can be built in a variety of styles, including bungalow or two-storey designs. Also, legal secondary suites can be built into your new home and in addition, a separate residential building (carriage house) can be built on the same lot - perfect for family, guests, or as a mortgage helper. The preferred builders at The Ridge - Brando Construction Ltd. and Lawmar Contracting - have already helped many happy homeowners build their dream homes here. Show homes are available and open house times are 12pm-2pm Saturdays and Sundays, or contact them for a private tour. 1. Take the Courtenay Exit from Highway 19, right turn on Comox Logging Road for 1.5km until you get to Buckstone Road and turn right and turn right again on either Stoneridge Avenue or on Harbourview Boulevard. 2. If you are heading South on the old Island Highway turn right at Fraser Road, and turn left on the Comox Logging Road, and then drive for 0.5 km and turn right on Buckstone Road and then turn right again on either Stoneridge Avenue or on Harbourview Boulevard. 3. If you are heading North on the old Island Highway turn left at Fraser Road, and turn left on the Comox Logging Road, and then drive for 0.5 km and turn right on Buckstone Road and then turn right again on either Stoneridge Avenue or on Harbourview Boulevard.